The Ranch is an ideal place to board your horse. We truly have it all, just minutes from Toronto, in Oakville, near Burlington, Milton, Hamilton, Guelph and surrounding areas. We offer outstanding care from experienced, knowledgable owners and staff. 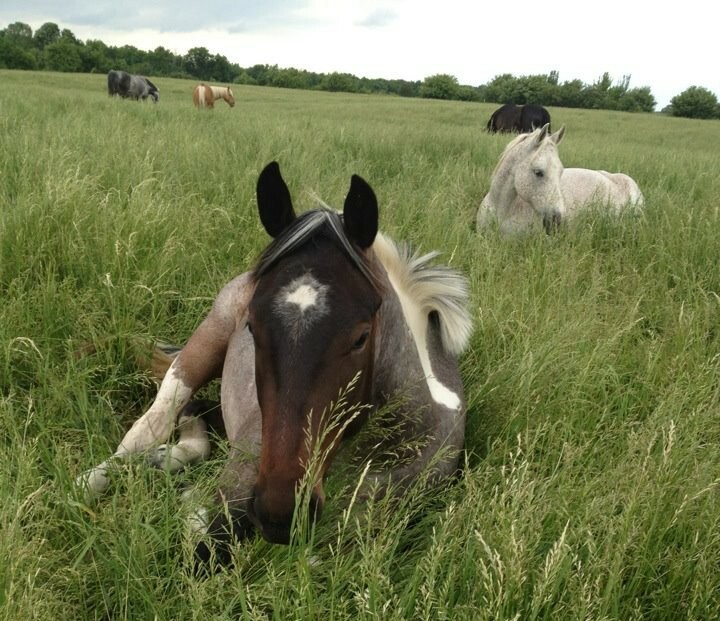 From our gorgeous pastures to our farm-grown hay to our customizable feed program, you’ll find a home where your horse can thrive. We work hard to cultivate a barn culture where all are welcome, no matter what tack you ride in or what discipline you pursue; our boarders are a family of educated equestrians that enjoy the Ranch as an affordable refuge for themselves and their horses. Our boarders can choose to ride on hundreds of acres of trails, in our 70″ x 140″ indoor arena, or in our 200″ x 300″ outdoor arena. They can also rent additional horses if they wish to go on trail with friends or family. We also provide affordable, multi-disciplinary instruction and clinics for our boarders (Western Performance, Hunter/Jumper, Dressage & Western Dressage), but we do not permit outside coaches. Semi-annual boarders rides that include a campfire and BBQ dinner! Please come for a visit, meet some boarders and explore all that we have to offer. If you’d like to arrange to meet with the owners or manager, just give us a call and we’d be happy to give you a guided tour.